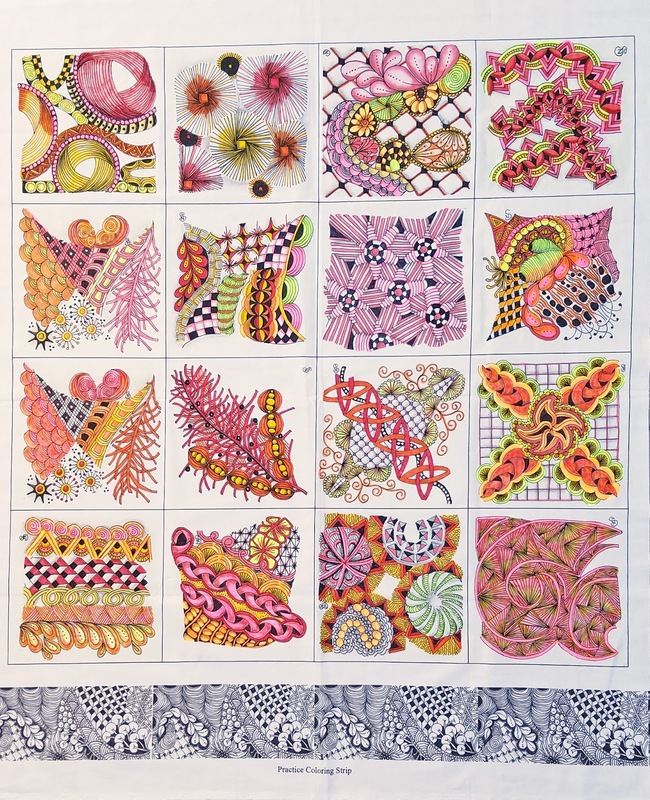 Have you seen Nancy Smith's Tangle Time collection? 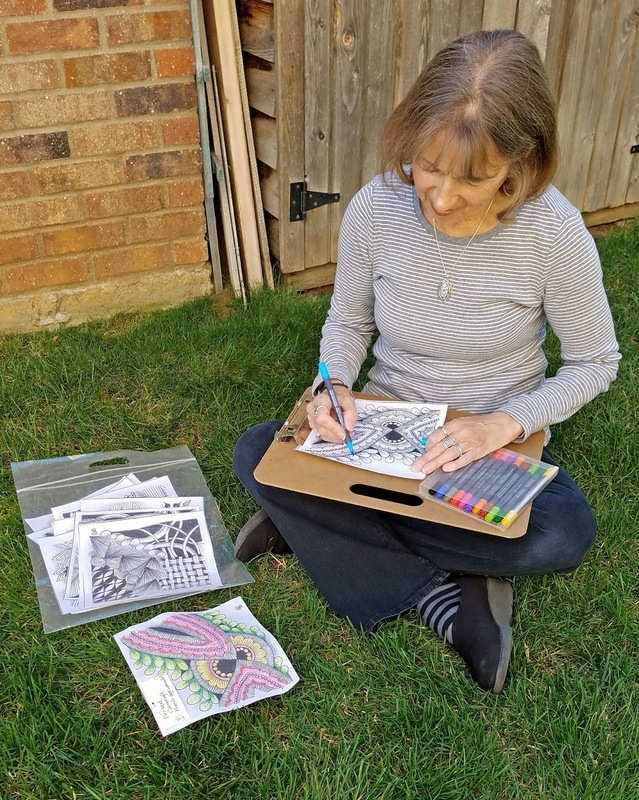 It's packed full of Zentangle designs--fun to fussy cut and use just as they are, or to color in with your favorite markers. We asked Nancy to tell us more about the Zentangle method and Tangle Time. 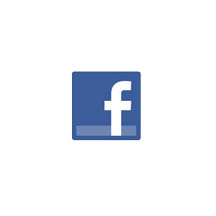 Click here to see Tangle Time in action in yesterday's post. How did you get hooked on Zentangles? About 6 years ago I signed up for a Zentangles class. It was one of the most impulsive things I’ve ever done. I fell in love with it and came home so excited. I’m now a certified Zentagle teacher. But…I’m also a quilter. 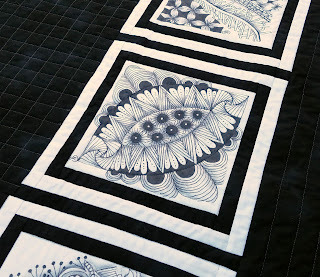 I wanted to find a way to do something with Zentangles and quilting. 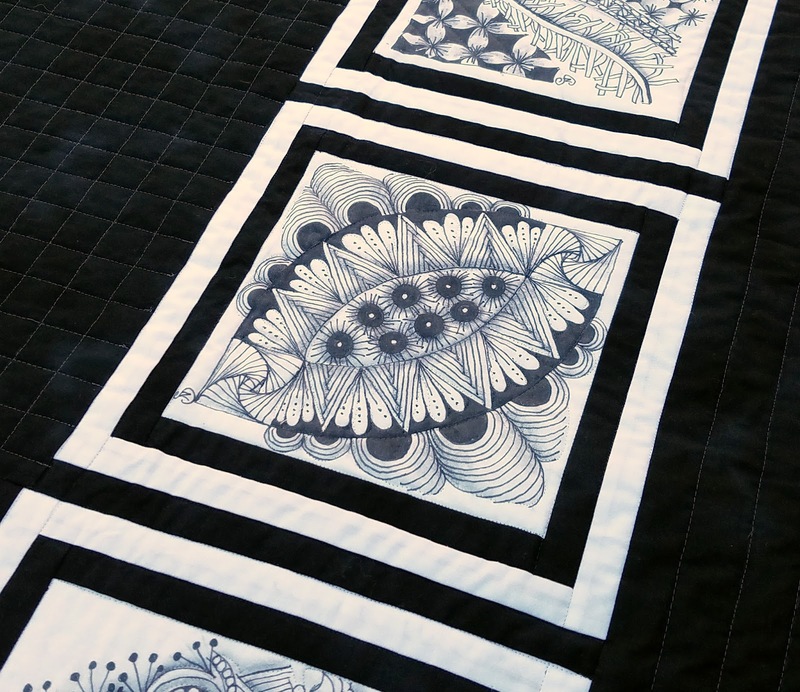 Can you tell us more about what the Zentangle concept is? It’s a form of meditative drawing. Anyone can do it—it’s totally unplanned—patterns are drawn one line at a time. Because nothing is planned, what you draw is a surprise, and you can never fail. I love it! Zentangles are also totally portable—you can draw them anywhere. 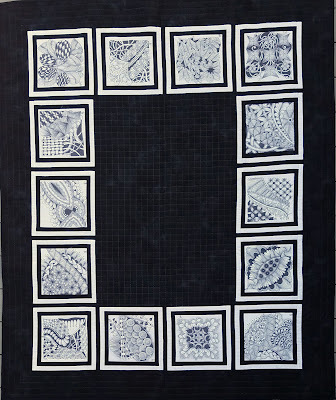 Tell us about the Tangle Time fabric. They’re all drawn by me. Me, who couldn’t draw! 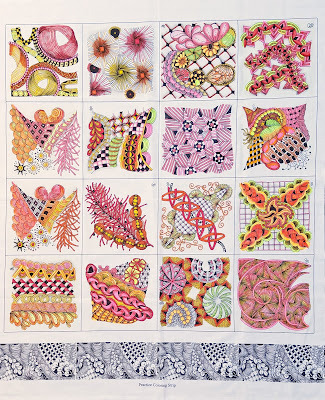 Many of them are familiar patterns if you know Zentangles. They’re really fun to work with. We’ve really enjoyed seeing the different projects you’ve made with the Tangle Time prints. Any tips for us? Do a little bit of experimenting with what type of marker you want to use. Definitely try out markers on the test strip (printed along the edge of the blocks). Some types can bleed, and you don’t want to find that out while you’re coloring. You can iron a panel piece onto freezer paper before you color to give it more stability, but you don’t have to. What do you like best about the Tangle Time fabrics? It’s like having a preprinted panel that you can do so much with. You can add embroidery. I’ve added beads as well. It’s just a great starting point for doing something that is so much fun. 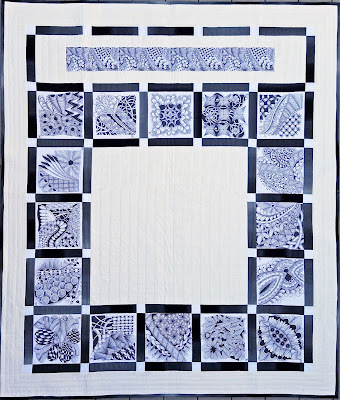 Click here to see Nancy's Tangle Time collection. 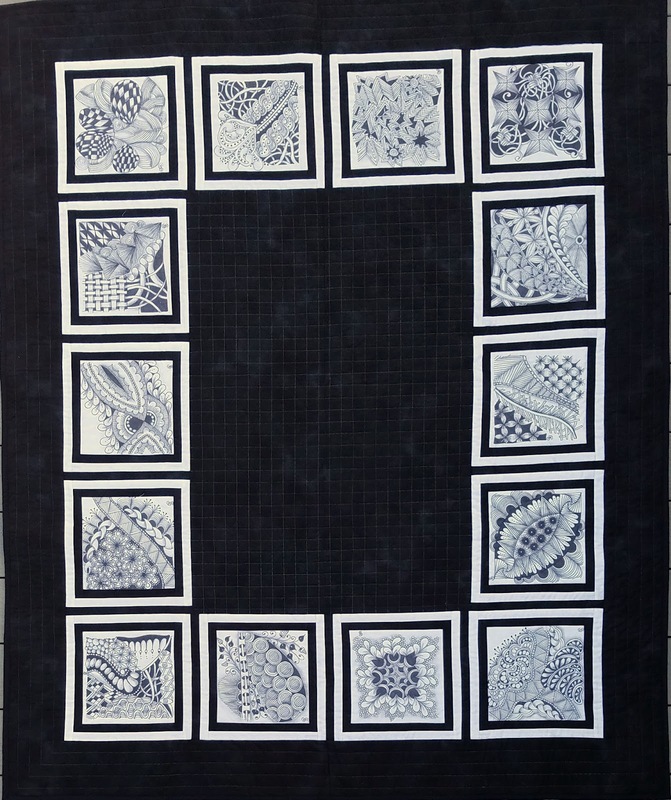 Click here to learn more about the Zentangle method. 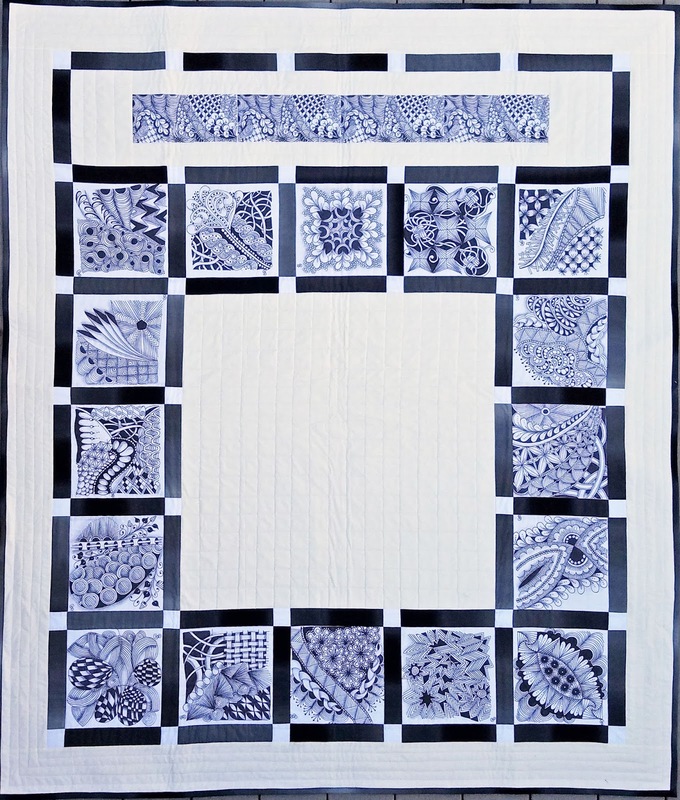 Click here to see more inspiration for using the Tangle Time panels.